In a mid-September morning, Si excitedly wrote a short WeChat post, stating that “two big events” in his September to-do-list were checked off. One of these events, needless to say, was the PhD dissertation defense that he impressed the committee members and the clouded audience on the previous day. As every PhD student would eventually experience, dissertation defense is the very final step in the long journey that showcases the research products that he or she has created during the entire PhD program. As such, the quality of the PhD dissertation defense is not merely judged by the dissertation and the defense presentation alone, but rather where the ingredient materials are published and how well they are received. Si maintains an excellent record in this regard. So far, he has published six journal papers, and five of them appear in the most prestigious signal processing journals that publish original research articles, namely, IEEE Transactions on Signal Processing, IEEE Journal of Selected Topics in Signal Processing, Signal Processing, and Digital Signal Processing. In addition to these journal articles, he has also published 14 conference papers, including one that lead him to receive the First Prize of Student Paper Competition in an IEEE conference in 2014. According to the Google Scholar, a commonly used citation database, his publications have already received close to 100 citations. This is remarkable to a PhD student whose most publications have appeared only in the past two years. In particular, a paper published in IEEE Transactions on Signal Processing in 2015 has already received 35 citations in less than two years. These numbers vividly speak out the importance of his work and the impacts it has brought to the community. 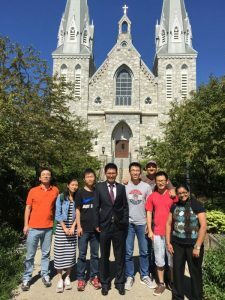 As a Research Assistant, Si’s research activities during his PhD program were fully supported by a highly selective five-year Office of Naval Research (ONR) project funded to Villanova and Temple under a Basic Research Challenge program on Co-Prime Sensor Array Signal Processing: A New Framework for Reduced Complexity Sensing. This special program supports a dozen of selected US universities to develop novel co-prime based techniques that are applicable to various Navy and other general sparse sensing problems in addressing the increasingly demanding needs of achieving high-resolution sensing with significantly reduced number of sensors and system complexity. This program has received high recognition and has successfully prompted worldwide research interests in co-prime sampling and sparse sensing in general. Several special issues and special sessions were organized in highly ranked academic journals and conferences, and many of them are led by his advisor, Dr. Yimin D. Zhang, and co-advisor, Dr. Moeness G. Amin. Unlike a typical PhD student who spends four to five years before he or she could make the dissertation defense, Si was in his 37th month of his PhD program as he stood behind the PhD defense presentation podium, and will receive his PhD degree from Villanova, which very recently was listed as the top 50 national university in US by the U.S. News & World Report, at the end of this year after three and half years of PhD program studies. He plans to write a couple of more papers in the remaining months before he officially says good-bye to his student life. Equally impressed as his research outcomes that set an excellent example and a very high hurdle for his lab mates to follow and surpass, he maintains a perfect record in his course work with a 4.0 GPA in his PhD program. In addition to his advisors, Si has also collaborated with other researchers within and out of the ASP Lab with fruitful results. He has authored papers with post-doctoral researcher and PhD students in the ASP Lab, and has also collaborated with world-class researchers from different countries. The Lab provides many opportunities for the PhD students and scholars to interact with guest scholars and to attend conferences. 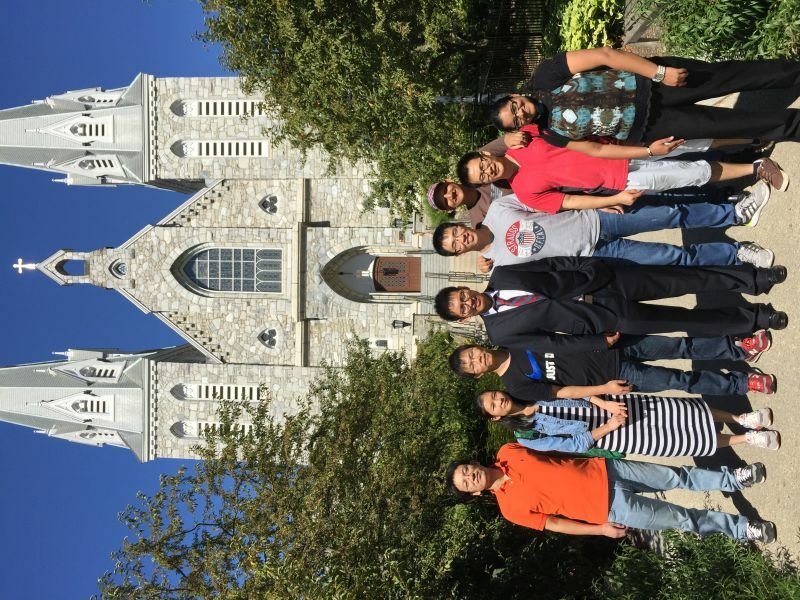 Si came to the ASP Lab immediately after he completed his Master’s program at the Nanjing University of Science and Technology, Nanjing, China, in 2013. “I was more anxious than excited since I had no any idea about my research topic and methodology,” he said. While the research life is busy, Si also managed to find a lot of funs in his leisure time. He visited lots of attractions during the holidays and hang out with friends at the most of weekends. “In particular, I did flight driving and skydiving,” Si mentioned excitedly. Three years in Philadelphia, Si met a number of new friends, including a very special person, who was a graduate student at University of Pennsylvania, with whom he decided to walk his entire life together. The couple plans to hold their wedding ceremony in November. Taking the wedding pictures was the other one of his two September “Big Events” mention in his WeChat, and one of these sweet pictures was posted with his WeChat post. With such great achievements he made, professionally and personally, Philadelphia is definitely a place that would be always remembered in his memory.